This graphic novel is a wonderful sci-fi story told through all the complexities of space and time, following the protagonist who is trying to discover her identity through travel, sexuality, and across planets and civilizations. The art is fantastic, visually rich and dynamic, often telling the story without words seamlessly. The one critique is, sadly, its abrupt end. Originally published between 1977 and 1979, it's been reprinted with a new introduction, shedding light on the project and giving it a deserved new home. 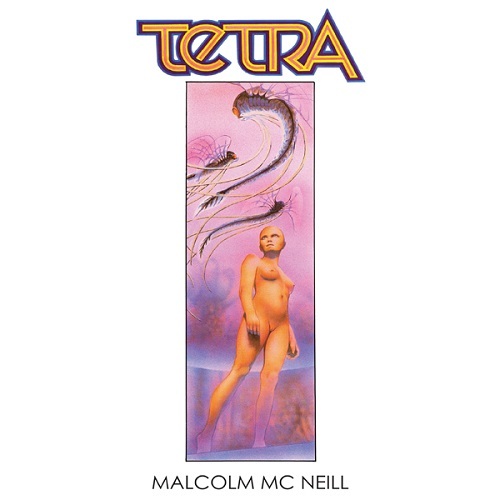 Tetra reminds me of Promethea, Alan Moore's epic journey into existentialism and transcendental exploration, but within a space narrative that takes us on a mind quest. This chapbook is experimental in exactly all the right ways, showcasing a playful mastering of structure while also using language to explore themes of identity, living in a body, sexual violence, and ownership. Can we own our bodies, and our selves? Who owns us? For anyone who has experience trauma and PTSD, or struggles with mental illness, reclaiming the self is both a recognizable task, but a process that becomes its own trauma; this is a must-read for everyone who understands this process too well. If a book could be a memento in time, Hannett's collection is exactly that. The speaker reflects on their quiet day-to-day life with their wife, living in a city that can be unforgiving, living a life that can be unforgiving, and trying to exist in a world full of Netflix and political nuance. The lines are conversational, telling the reader facts in an almost distant way while bringing us into the mundane details: "My wife is crying, she is a second-generation Peruvian immigrant. / Her Mother keeps a karaoke machine in her living room and encourages everyone to sing. / On Christmas, her Grandmother makes pisco sours and aji de gallina and will not take no for an answer" (85). Tedesco weaves together the spiritual realm with the physical in a way that brings out the supernatural and strange. There is a clear occult and Catholic influence permeating in the speaker's mind, even though the speaker is often trying to break free from these ideologies, perhaps searching for something entirely new and entirely theirs: "it was believed / I would survive the drownings" (89). The various characters, Francesca, Eureka, God, are trying to exist in a real way. Tedesco's focus on women (and witch women) and what it means to exist as a woman, an othered woman especially in a male-centric world, is captivating. The poems are often isolating, considering being an other in any capacity is isolating. Note: Reviews/support of books doesn't mean we support the views of the presses or editors of the presses.